The elite young men who inhabited northern antebellum states-the New Brahmins-developed their leadership class identity based on the term "character": an idealized internal standard of behavior consisting most importantly of educated, independent thought and selfless action. 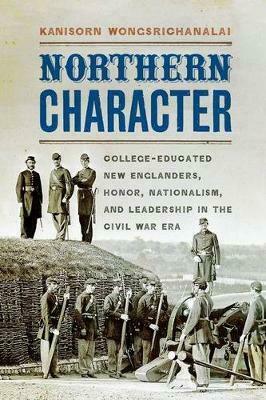 With its unique focus on Union honor, nationalism, and masculinity, Northern Character addresses the motivating factors of these young college-educated Yankees who rushed into the armed forces to take their place at the forefront of the Union's war. This social and intellectual history tells the New Brahmins' story from the campus to the battlefield and, for the fortunate ones, home again. Northern Character examines how these good and moral "men of character" interacted with common soldiers and faced battle, reacted to seeing the South and real southerners, and approached race, Reconstruction, and Reconciliation.